15- Separation Of Oil and State, Separation Of Blood Oil and Human Rights, Separation Of Blood Oil and Free Society, Separation Of Blood Oil and Secular Democracy and Stop Global Warming. I pray to all Gods of all religions in the world to ask the religious institutions, as the units claiming to have the monopoly of truth, to stay away from the administration of the states. I pray to all Gods of all religions in the world to accept their mistakes in creating the world and their failure to establish justice. I pray to all Gods of all religions in the world to respect the human rights as envisaged in the Universal Declaration of Human Rights. I request all Gods to go back to their temples and let the peoples of all states live in secularism . I ask all Gods to stay away from the politics in order to preserve the respect for religions. I pray to all Gods to free all countries from the scourge of the medieval ideologies based on the vague messages. I ask all Gods to start talking directly with the people and put an end to the lies told by the brokers of heaven and hell. I request all Gods to stay away from the private life of the people. I pray to all Gods to find a way of living together, because they are all going to die under the present conditions. I warn all Gods to stop persuading the people to dominate and kill each other in order to spread your words. (In other words, if what the religious leaders claim to be your words are true, then please keep them to yourself). I request Satan and of his unholy angels to make their relations with Gods clear and do not blame the human beings for their failure to hammer out a kind of compromise formula. Iranians are proud spiritual descendants of King Cyrus the Great, the author of the first charter of the human rights. Some of Cyrus� children live in the patch of land called Iran. 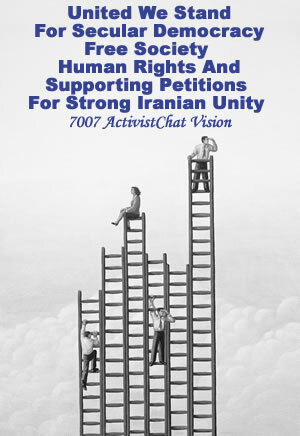 The overwhelming majority�free humans with human beliefs�live in every country, city, and village of the earth. 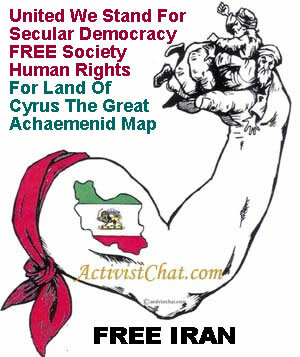 These world-wide people, one and all, irrespective of nationality, color, or creed are Iranians because they all adhere to the Cyrus Charter; they practice and defend its lofty tenets; and, transfer this precious humanity�s treasure to the next generation. The Sunshine in Government Initiative is a coalition of media groups committed to promoting policies that ensure the government is accessible, accountable and open. Public oversight is the ultimate safeguard of democracy. This is not an issue just for the media. It is the inalienable right of citizens to examine and judge their government; and that right is served when news media act on behalf of the public to gain access to information. An informed public is the cornerstone of our democracy. Open government instills public trust. Policies preserving access to information are essential to our national well-being. Americans depend on news media to inform them about governmental activities and to exercise the right of access to appropriate government information on the public's behalf. In a democracy, government must function under a presumption of openness, balancing this as necessary with legitimate national security needs and the confidentiality concerns of individual privacy. The Freedom of Information Act should be preserved and strengthened. Over-classification, unconstrained nondisclosure agreements, and indiscriminate use of "sensitive" designations to withhold information ill serve our nation's security interests and thwart the public's right to know.